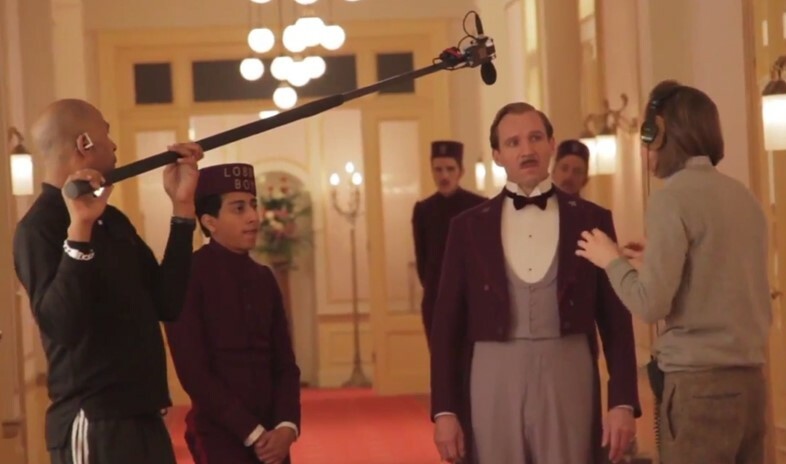 The Grand Budapest Hotel boasts a wealth of stars, including Ralph Fiennes, Bill Murray, Tilda Swinton, Adrien Brody, Jude Law and Jeff Goldblum (among many others). 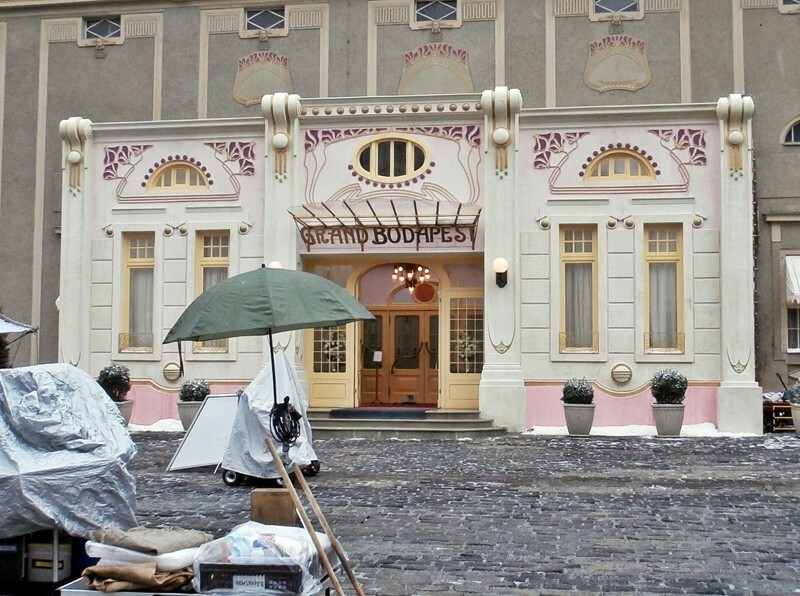 But the real star of the film is the hotel itself – an "olde worlde" European hotel modelled on the Grandhotel Pupp in Karlovy Vary, Czech Republic. To create it, a derelict department store nestled on the Czech/Polish border in the small east German city of Görlitz called the Görlitzer Warenhaus was transformed into a grandiose structural marvel. It was plucked from obscurity by Wes Anderson on a scouting trip. "I was still in New Orleans on another film," the production designer, Adam Stockhausen, explains. "Wes went on a solo first scout and saw the department store." The building – out of use since 2010 – was in the throes of bankrupty. But with a little imagination and the help of a lifesaving investor, Anderson and his team blew the dust off the relic. Using the US Library of Congress archive of photochrom images from 1895 to 1910, Anderson pieced together a visual aesthetic that was brought to life by Stockhausen and art director Stephan Gessler. We asked the pair: how exactly does one turn a bankrupt dud into such a stunningly lavish palace? When Görlitz (pop. 54,000) was chosen as the locale, Hollywood was brought to town. After a solo scouting trip to secure the hotel, Anderson emailed images to Stockhausen so he could get a feel for what was possible. "I thought it was perfect, and I told him so," says Stockhausen. "I remember the email very clearly… You know, the funny thing is you go looking and a lot of places are really beautiful, but when they’ve not been used in a long time there is a lot of damage to the structure. So you’re always looking at things going, 'Okay, this is amazing, but the ceiling’s falling in.' In the back of my head I’m always trying to calculate, 'What am I getting myself into to restore this place as opposed to just building it from scratch?' It’s always a balance like that." This time he struck lucky. "The department store in Görlitz was in perfect condition, just perfect. I mean everything. The stairways, the railings, the chandeliers, the stained-glass ceiling – it was all just immaculate." Those features were so immaculate, they were left unchanged and appear in the final cut of the film. But the job wasn't a walk in the park. "Görlitz was a big challenge," says Gessler. "Because Wes loved it there so much, the whole film was shot in and around Görlitz. It was a huge effort in logistics and timing to get all the scenery from Berlin there in time. Wes sometimes doesn't allow a lot of prep time so you have to react quickly." However much Anderson wanted the building for the shoot, there were a series of hurdles. The building was smack dab in the messiest of bankrupty proceedings, changing hands several times, and producer Jeremy Dawson had to negotiate with a Dutch liquidator to secure the rights to film. "There was a big negotiation upfront over the building because it wasn’t just available to walk in and use right away," Stockhausen says. "There was a complicated negotiation but they allowed us in." With a tight film schedule, they didn't exactly have time to wait. "We started designing it before we had approval to go in, and we were working out of Berlin, but we moved the entire company to the building. It had been a department store, and the offices for the department store were on the top floor. We moved in there and put our production offices into their old offices and it became this beehive of activity, building on the four stories below and then having our offices on top. It went on for a couple of months." So with Anderson's prize building on lock, how did they apply the film's signature Anderson aesthetic? "It starts with thousands of record images," says Stockhausen. "We’re talking about the world of the film, and the look. We don’t make things up out of the clear blue sky. It all comes from looking at images and saying: 'This is exciting. This isn’t…' Then we dig and dig and dig and find loads of specifics for each individual thing." A 70s chaise longue here, a blood-orange carpet there... "You always start with the script and than you have to find the moods and references to bring it alive," explains Gessler. "Sometimes it could be a very colourful look, then monochromatic; sometimes it needs to look very designed, another time very natural." And nothing is random. "We like to pull specifics that we find places," Stockhausen continues. "There’s a scene where Madame D's will is being read, and the inspiration for that came from these trophy rooms that we saw in these kind of castles. They’re sort of royal hunting palaces from the 16th and 17th century that we saw across Germany and the Czech Republic, and they’re just full of taxidermy and heroic paintings of animals. That was something that I would never have imagined even existing before I saw them." Very rarely, the ideas are even bigger than the set. In those cases, it made sense to think on a smaller scale. "It tends to happen (with miniatures) when something isn’t really achievable any other way." As Anderson isn't so keen on post-production, a lot of it is created in camera with small-scale models. "Wes is a largely analogue type of guy on camera, but then they do things that definitely need to be worked on in post production with visual effects work and colour timing and all of that," explains Stockhausen. Gessler recalls one scene in particular where this was the case. "For me, one of the greatest scenes in the final cut was the ski sequence, because it was done with the model unit and I hadn't seen it before. There a lot of other great scenes of course, like the escape scene for example, but I enjoyed that already during the prep and the shoot." In fact, we first meet the main character of the film this way. "The introduction to the hotel is this sort of horizontal move across the landscape that was meant to be very specific," Stockhausen says. "And then it sort of lands on the hotel perched on the hill above a little town with a funicular going up to it. And that’s so specific because there isn’t anywhere like that. You can’t film that because it doesn’t exist. So you have to create it in a different way and models are an old movie-making way of accomplishing that." Even with meticulous planning and thumbnail storyboards, sometimes you just can't beat the weather. "We have a scene with a telephone booth put in a snowy field and we had a lot of trouble shooting it," laughs Stockhausen. "We kept trying to shoot it but the weather just wasn't working. We thought we were going to get to it, then we didn't get to it and we wanted to go back then all the snow melted so we had to pack everything up again. The next time we went to do it, it was too foggy and you couldn't see the phone booth. We tried half a dozen times to shoot the telephone booth and finally got it on one of the very last days." Now that he's seen the final film, Stockhausen is awash with pride: "It’s great to see the film put together and see people’s reactions to it, but my overwhelming thought is all these memories that come flooding back from shooting it, because it was such an adventure." Gessler remembers the goofy genius behind it all fondly: "Görlitz is a small city and Wes had this litte golf cart to drive from one location to another. That was quite bizarre, seeing him speeding through the snowy streets. A bit like a character out of one of his movies."